ACRES This wildflower, called green dragon, is an example of the plants that grow in the preserve. 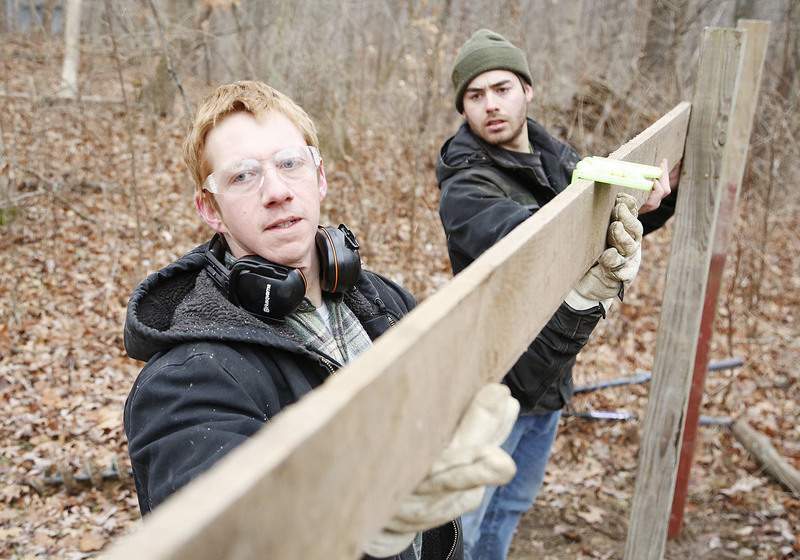 Chad Ryan | The Journal Gazette Casey Jones, left, and Evan Hill place a board between two posts as they build a fence to block the entrance to the hiking trail at Little Cedar Creek Wildlife Sanctuary on Thursday. ACRES officials and Indiana DNR staff recently identified Japanese stiltgrass on the property and decided to close it to the public while they attempt to remove and prevent the spread of the invasive species of grass. 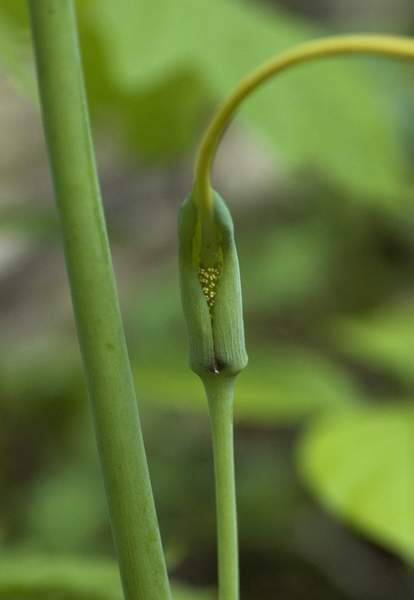 Japanese stiltgrass sends its shoots upwards in the spring, growing up to 3 feet tall. But even though it appears to be an elegant member of the bamboo family, take heed. It’s a killer that can wipe out trees and wildflowers quicker than a patch of periwinkle or a hoard of honeysuckle. 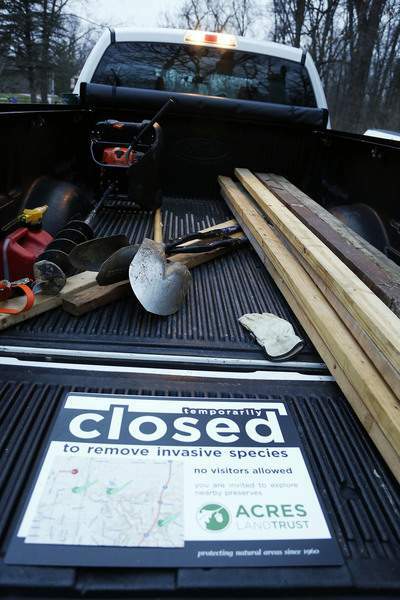 The threat is so great that the discovery of the stiltgrass at Little Cedar Creek Wildlife Sanctuary Nature Preserve prompted its owner, ACRES Land Trust, to close the preserve, the first time this has been done since ACRES was founded in 1960. Casey Jones, director of land management, presided over the official closing Thursday morning. Sign posts now bar entry to the trails that will most likely be closed for two to three years. "ACRES has never closed an open preserve," said Jason Kissel, ACRES executive director. Practically unknown to northern Indiana, stiltgrass was found on private property in Huntertown in October. Then, Ben Hess, an ecologist with the Department of Natural Resources Division of Nature Preserves, found significant amounts at the 19-acre sanctuary off Fitch Road. "It’s along most of the trail in there," Hess said, adding "it’s completely manageable." After the stiltgrass was spotted in the sanctuary, the discovery led to finding the non-native species in nearby roadsides and in ditches. Mostly spread by human feet, the seeds that appear in the fall can also be spread by cats, dogs, squirrels, hunters and hikers. The seeds can also be carried by water during heavy rains and be found in contaminated hay, soil or mud that is stuck in footwear. Infestations at other nearby ACRES properties are away from trails and smaller, so they will remain open, said Lettie Haver, ACRES outreach manager. None was found at the 80-acre Bicentennial Woods off Shoaff Road, about a half-mile away, she added. There’s hope that stiltgrass won’t be the scourge that it is in the South and Northeast. 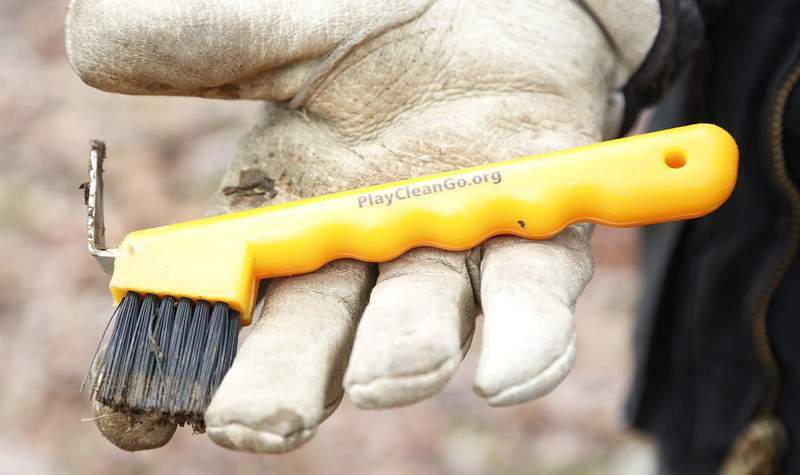 Elimination will preserve the ecosystem and the wildflowers found up and down the 20-mile Cedar Creek corridor. 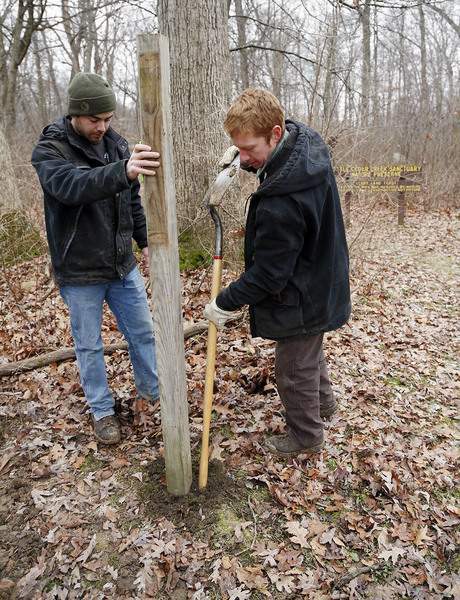 The ACRES staff has teamed up with the Nature Conservancy, Indiana Department of Natural Resources Division of Nature Preserves, the Allen County Highway Department, Fort Wayne Parks, Fort Wayne Trails and Little River Wetlands to halt its spread. "Where it falls down, it can start to root and form a new plant and that’s why it’s so horrible with colonization," said Betsy Yankowiak, director of preserves and programs with the Little River Wetlands Project. "It can really take over an area really quickly." Stiltgrass has not been found at Eagle Marsh, Yankowiak said. Environmental groups met shortly after Hess’ discovery in October, learning how to spot it and report it, using apps to download information into an early detection system, Yankowiak said. Haver said that anyone who sees a suspected infestation can take a picture of the grass and report it online through Report IN, at EDDMapS.org/Indiana. Similarly, plants can be reported online at the Great Lakes Early Detection Network, Hess said. One of the easiest ways to get rid of it is to pull it out of the ground before it flowers, Haver said. For larger areas, cut the plants to the ground in September, shortly before it produces seed, but too late for it to regrow before the first frost. "Since it is an annual, preventing the plants from setting seed is all you need to do to eliminate the species from an area," Haver added.